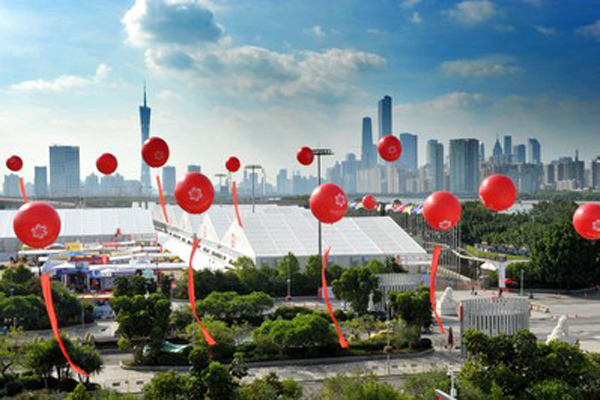 More than 25,000 exhibitors are showcasing their latest products and services at the ongoing 123rd China Import and Export Fair (Canton Fair), being held in Guangzhou, China. The fair which opened on April 15 will run until May 5. “Historically, the fair has played a key role in promoting international trade, and improving product quality and overall performance. We are at the forefront of new and innovative products across a wide range of industries and will continue to fulfil our role as a platform to further aid global commerce during this spring's exhibition,” he added. •Phase 1 (April 15-19): electronics and household electrical appliances, lighting equipment, vehicles and spare parts, machinery, hardware and tools, building materials, chemical products, energy resources, international pavilion. •Phase 2 (April 23-27): consumer goods, gifts and home decorations. •Phase 3 (May 1-5): textiles and garments, shoes, office supplies, cases and bags, medicines, medical devices and health products, food, international pavilion. The electronics and household electrical appliances zone will feature global brands that emphasise smart homes and intelligent manufacturing (IM). In addition to top Chinese brands including Haier and Ecovacs, famous international enterprises such as Simfer from Turkey, NUC from South Korea and others from countries included in the Belt and Road Initiative will also join. •Gree's smart home product line. •Changhong's AI television and CHiQ fridge. In the machinery zone, the world's leading enterprises including Caterpillar from US, Kapro from Israel and Tsurumi from Japan will bring their latest products.